North Vancouver, B.C., June 7, 2018. 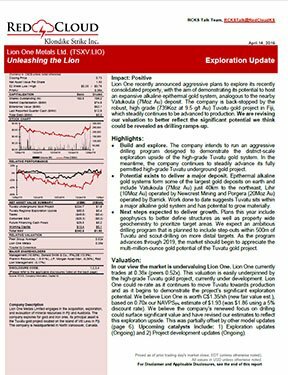 Lion One Metals Limited (TSX-V: LIO) (ASX: LLO) (OTCQX: LOMLF) (FSX: LY1) is pleased to announce the appointment of Mr Darren Holden as the Company’s new Vice-President of Exploration and provides the following exploration update for the Company’s 100% owned and fully permitted high grade Tuvatu Gold Project, located near the Nadi International Airport in the Republic of Fiji. 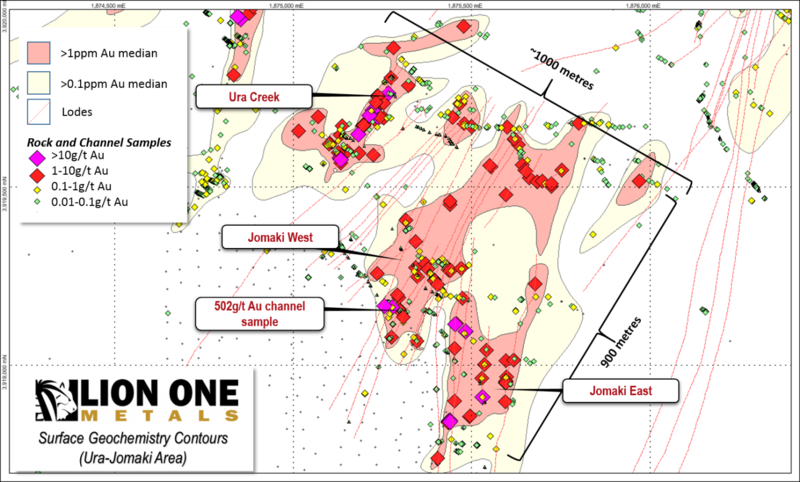 Jomaki: 18 mineralized structures hosted in 2 parallel zones (Jomaki East & Jomaki West) including the previously announced high-grade select sample of 502g/t Au over 0.70 m.
Tuvatu South: anomalies from multi-element data point to possible 1km extension of main mineralized zone of Tuvatu; to be evaluated as underground drilling targets. 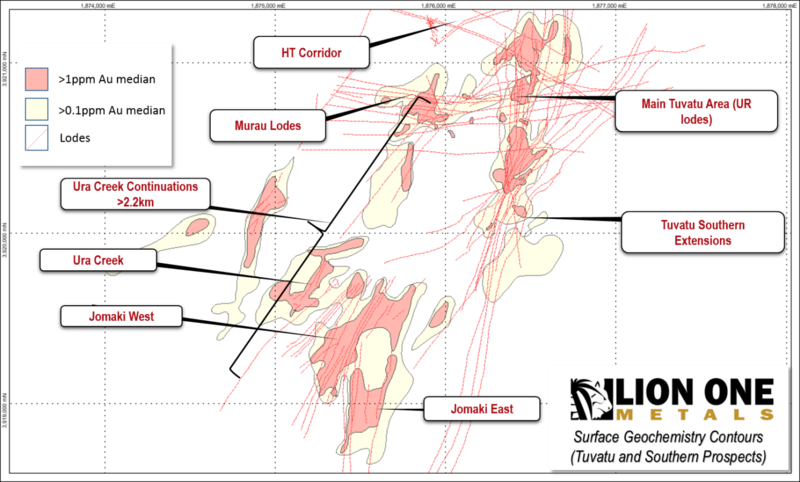 Lion One Managing Director Stephen Mann commented “In the Tuvatu resource area, approximately half of the 40 veins identified to date have sufficient sample data from drilling to merit inclusion in a resource estimate. We’ve now identified more than 20 mineralized veins at surface in the Jomaki-Ura Creek area where strong multi-element anomalism suggest potential scale and signature comparable and possibly larger than the main resource area at Tuvatu”. 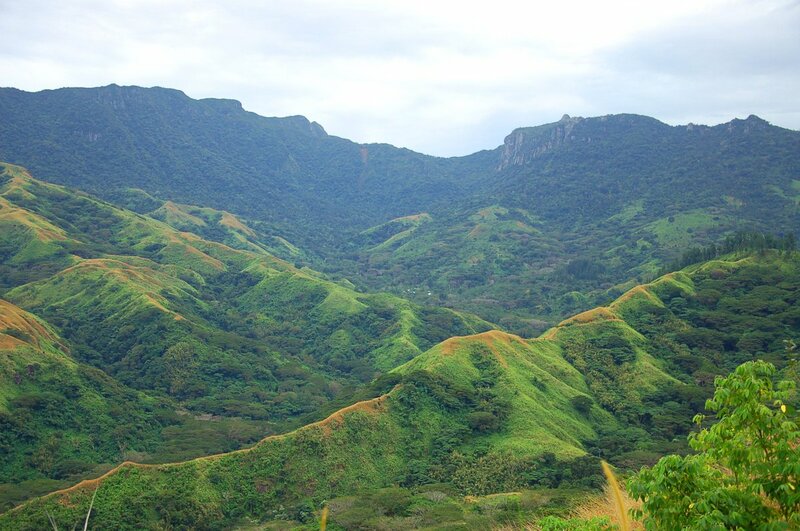 (refer to Figure 1) Exploration including the Company’s benching and channel sampling programs are continuing with further assay results expected shortly. Lion One is also pleased to announce the appointment of its new Vice President Exploration. Mr. Darren Holden BSc (Hons) MAusIMM, is a graduate of the University of Otago (NZ) and the University of Western Australia. His previous experience includes roles as a geologist with mining companies such as Western Mining and Western Metals in Australia. He was a senior member of the Perth-based Fractal Graphics geoscience team that won the Goldcorp Challenge in 2001 in the expansion of Goldcorp’s Red Lake mine in Ontario. That success resulted in the formation of Geoinformatics Exploration Inc., and a team that made several discoveries in North America from Alaska to Mexico. In addition, they also forged strategic alliances with mining companies such as Kennecott Exploration, Anglo-American, Gold Fields, and Goldcorp, from 2002 to 2008. Since 2008, Mr. Holden has held executive management and board roles with several consulting, and mineral exploration companies in Australia. Lion One’s CEO Walter Berukoff is leading an experienced team of mine builders, and has owned or operated over 20 mines in 7 countries. As the founder and former CEO of Miramar Mines, Northern Orion, and La Mancha Resources, Walter is credited with building multiple robust mining assets still in operation, creating over $3 billion of value for shareholders.